The history of Immaculate Conception Parish begins with the arrival of German immigrants into Monroe County. The first pioneers arrived here in 1783 and by June of 1816 they established Monroe County. The number of Catholics in this first German immigration was relatively small, but their numbers were to increase significantly from 1840 to 1860. Imagine that in 1852 there were only eight priests in Southern Illinois. Around 1835-1840 Catholics in Columbia worshiped at St. Thomas church in the area now called Millstadt. This was a seven-mile trip for Mass without the benefit of the automobile. Soon enough a priest was sent to conduct services in various locations in this area including homes.But this eventually proved to be inadequate and a more permanent solution was sought to deal with the growing number of worshippers. In 1846 Mary, under the title of the Immaculate Conception, was designated “Patroness of the United States” and so it seemed fitting that the new parish to be established in Columbia, founded in 1846, be dedicated to Mary Immaculate, and so it was. In 1850 land was acquired on the edge of town for use as a parish cemetery, and Fr. Arnold Pinkers of Belgium became the first resident pastor. The parish continued to grow so that by 1863 new land was purchased for the construction of a new, larger church, which was completed in 1867. The first church building was converted into a school and the Ursuline Sisters of Kentucky were given charge of it in 1874. In 1888, 42 years after its founding, Immaculate Conception Parish, which previously was part of the Diocese of Alton, came under the jurisdiction of the newly-formed Diocese of Belleville. 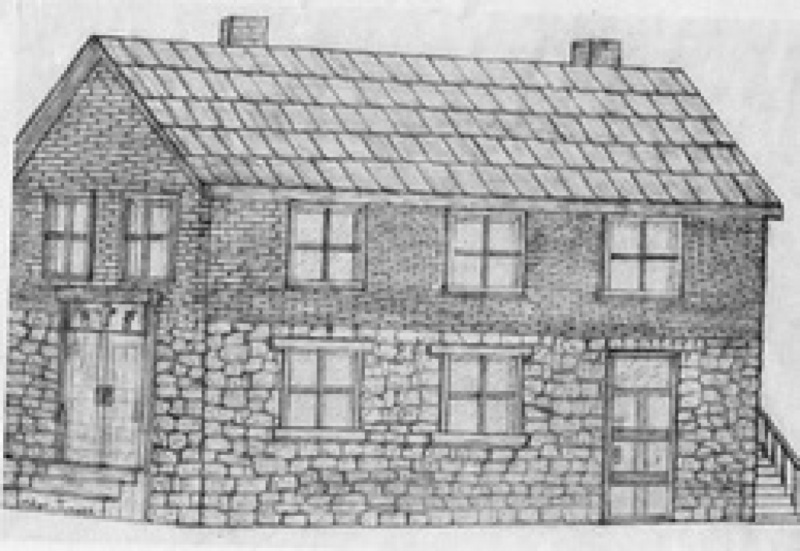 As time went on the parish found the resources necessary to perform various improvements to the church interior, build a separate residence for the sisters who taught in the school as well as construct a new rectory. In 1921 a new modern brick school building was constructed as the old church, which had been remodeled and enlarged several times to serve as a school, became entirely inadequate. By 1927 a new addition to the church began to take shape, which nearly doubled the length of the building. The re-dedication took place on labor Day of 1928. By 1944, in preparation for the centennial celebration of the parish, work began on the redecoration of the church interior. At the close of one hundred years there were 240 households in the parish and 130 children in the parish school.